2018-01-01: Pairing working! SW almost done. 2017-02-05: USB functionality working in alpha SW.
2016-12-05: Prototypes done, working. SW needs improvement. The system consists of a base board (receiver) and a number of transmitters (usually two), either internal for mounting internally in a joystick (is plug and play for Tac2) or an external transmitter for any joystick. The transmitters are powered by a CR2032 that will last for years(?). The base board has two DB9F that connects to both joystick ports of an Amiga, C64 or other computer with the Atari style DB9F-joystick ports. 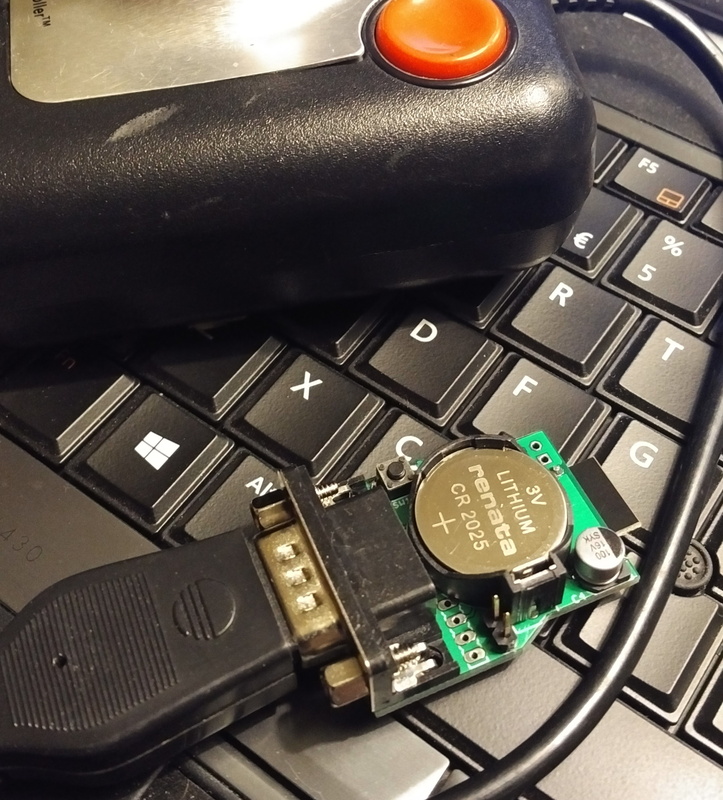 It also has a micro-USB connector for windows/linux/mac/android. It will show up as two digital joysticks to use in an emulator! 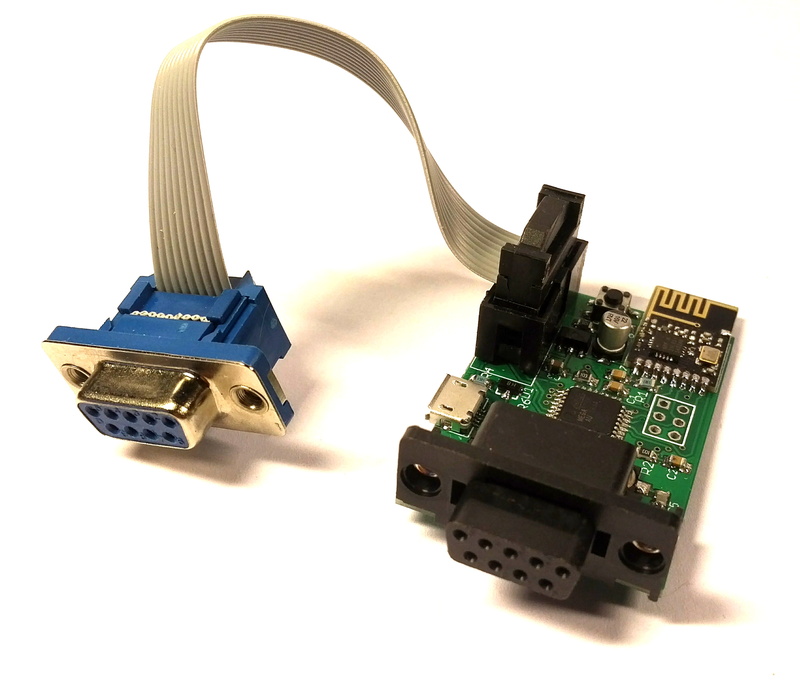 Plan is that the board should also be able to connect to a PC via micro-USB to be able to use the joysticks wireless against an emulator running on the PC. Typical total delay for DB9F-usage: ~2ms. 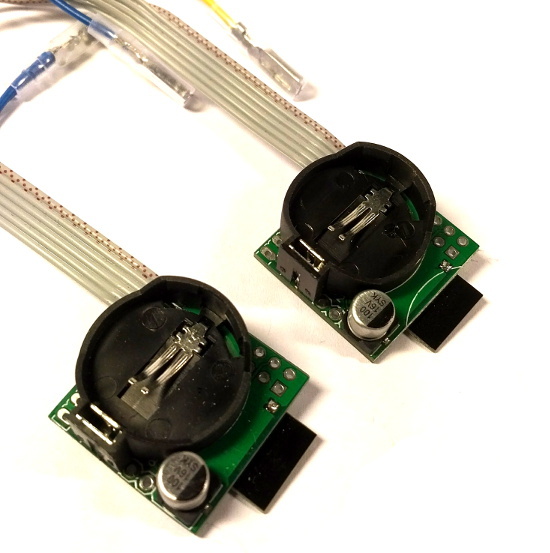 Simulates a joystick electrically correct (Low or High-Z). Appears as two digital joysticks via USB. Tested with Windows, Linux and even Android (via usb2go). 64 Unique channels, several kits can be used at the same location without interfering each other. Transmitters does not need a powerswith, just put it aside and it's instantly ready next time. Battery time SHOULD be years. Two (or more) joysticks can be paired to one port simultaniously. Possible future features include autofire, one joystick to both ports and the ability to make an Amiga-mouse wireless in the future.